Welcome to Hostel beautiful,is situated in the historical center, just next to Termini train station. We are well connected to all city areas by bus and subway with all major tourist areas within quick and easy access. The hostel has a quiet and relaxing atmosphere, All rooms have bathroom. Our main purpose is to give our guests the opportunity to enjoy their holiday and satisfy their needs and requests. 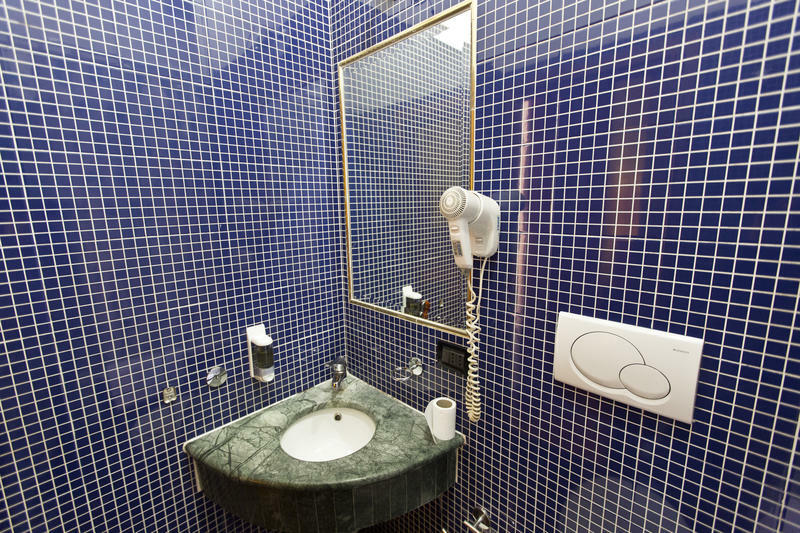 The hostel is managed by the owners and has international staff at your disposal to ensure you a pleasant stay in Rome. Voted #1 Most Improved Hostel Special Category Awards. Worldwide . -TOP 10 Hostel for March 2007. Other services include nearby parking facilities, you will have free 30 mins. internet access in our laundromat which is located in a separate place from the hostel, we have WiFi and there is no curfew in operation. For your convenience , reservations for theaters and restaurants as well as sightseeing tours. The total balance due should only be paid in CASH. After your arrival we can not refund money. If you want to cancel any of the nights you booked you have to let us know at least 24 hours before you arrive. Please note that for the period from the 29th December to the 2nd of January the cancellation policy is 7 days. 3 nights minimum stay during this period. ** For Visa purposes, the hostel doesn't provide any confirmation letter needed for applying such document. There are shuttle buses from the airport to Roma Termini which bring you directly to the main train station. From the exit on Via Marsala cross the street and turn right. Take the second street left onto Via Milazzo. Go to number 14 (with elevator until midnight). Check - in is on the Ground Floor. Take the non-stop train to Roma Termini, the main station of Rome. From the exit on Via Marsala cross the street and turn right. Take the second street left onto Via Milazzo. Go to number 14 (with elevator until midnight). Check - in is on the ground floor.